Thousands of teenagers are being given £10 loans to see if they can both turn a profit and benefit society. Make Your Mark With a Tenner” is part of a week of events celebrating social enterprise – a sector hailed by Gordon Brown as a “new British success story”. 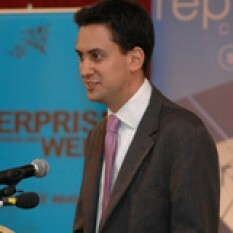 Chef Jamie Oliver’s “Fifteen” restaurants staffed by disadvantaged youths is seen as an example of “social enterprise”. It is one of the highest-profile examples of 55,000 such initiatives across the UK founded with a social purpose and reinvesting profits in the community. The first 10 notes were presented by Andrew Reynolds during a launch event at Stockwell Park School, south London, on Thursday as part of Enterprise Week. 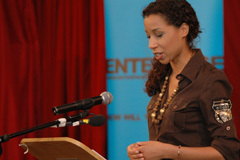 The event was hosted by Margarita Taylor and featured Eden project’s Tim Smit, MP Ed Miliband and Milliondollar homepage founder Alex Tew. When I was starting Cobra Beer and we were constantly running out of money there were many times I wished someone would come along and give me ten pounds! 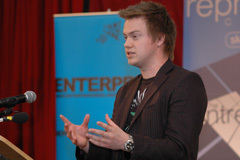 Anything that inspires students to look at the path of entrepreneurship should be cheered to the rafters, and ‘Make YOur Mark with a Tenner’ is one of the most unique and ingenious ideas I have heard of to get young people thinking about entrerprise and actually having a go. Founder and Chief Executive, Cobra Beer. Pupils have a month to make an impact after accepting the loan – the 50 who make the most profit and the 50 who have the biggest social impact will win prizes. Schools and colleges distribute the money and decide on the suitability of projects – those that return less than 60% of loans will be banned from future participation. Make your Mark With A Tenner will demonstrate to young people how Social Enterprises can be successful by challenging them to seek a social return as well as a financial return, for their activities. I wish all those taking part the best of luck and look forward to seeing the work of some of these budding social entrepreneurs in the future. Cafedirect, which is now the UK’s sixth biggest coffee brand. Mr Reynolds said he had donated the money to allow young people in the UK to show they were “not all a bunch of violent hoodies”. “As we walked into your school this morning, I couldn’t help noticing your school motto – Attitude Determines Altitude – and that is so true.” he said. 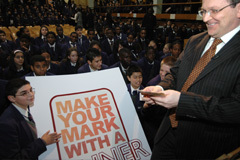 He went on to hand over 100,000 to fund the Make Your Mark with a Tenner campaign. Make your Mark With A Tenner is a fantastic, elegant idea and it will be very exciting to see what sort of creative and profitable ideas come out of the project. It is also great to know that school pupils in the UK are being made aware that going into business is a valid career path. I wish we had this when I was at school. Thousands of teenagers are being given 10 loans to see if they can both turn a profit and benefit society. 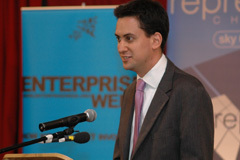 The scheme was announced alongside the publication of the government’s Social Enterprise Action Plan. Entrepreneur Andrew Reynolds is giving thousands of teenagers £10 loans to see if they can both turn a profit and benefit society.